Noted gem dealer and jewelry designer Philip Zahm talks to Cynthia Unninayar about his experience with emeralds and more. Emerald and tsavorite earrings in 18K gold by Philip Zahm Designs. 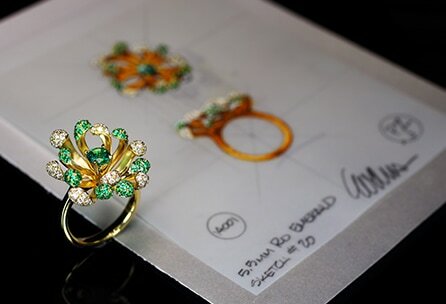 Emerald and diamond ring, along with the sketch of its original design. Faceted loose gems by Philip Zahm Designs, left to right: emerald, pink sapphire, blue sapphire, padparadscha sapphire. Emerald and diamond ring in 18K gold by Philip Zahm Designs. 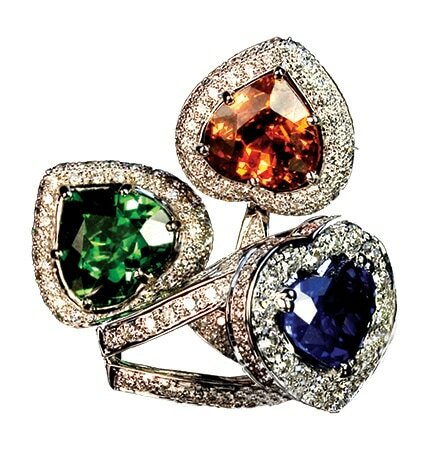 Heart shaped rings featuring emeralds, sapphires and topaz. "My initial experience in buying emeralds was in 1978 on my very first trip to Brazil. I only knew that the town of Teofilo Otoni, in the state of Minas Gerais, was where I needed to go," reminisces noted designer and gem dealer, Philip Zahm. ​ “I didn't buy very many emeralds on that first trip,” he reminisces. “It was a huge learning experience for me on so many levels, and represented a big move into the realm of more expensive gemstones.” Previously, he had been working primarily with cabochons, mainly fire agates and opal, but in Brazil he purchased mostly faceted tourmaline, aquamarine and topaz. A couple of years later, Zahm went to Jaipur to visit the young man whose company bought the rough at auction in Zambia and brought it back to India for cutting and oiling. “I asked him what kind of oil they use and he went to the cupboard and brought out a bottle of Johnson's baby oil. I couldn't believe it! Their cut emeralds were sitting out in a glass bowl filled with oil." 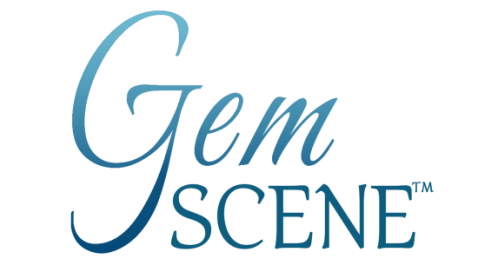 Zahm says he has seen an increase in interest and sales of fine emeralds over the last two years. "Prices have not increased as dramatically as the prices of rubies and sapphires, although it's beginning to happen. In the years to come, I believe that we will see significant increases in the cost of finer quality emeralds. Emerald is such a unique and beautiful gemstone. While other attractive gems such as tsavorite and chrome tourmaline have their own unique tones of green, it is hard to equal the rich color of fine emerald."